“I still say I’m new to abstract painting, and I’ve been doing it for years now,” states artist Erika Ranee, looking towards her paintings. She further explains how her works were much more figurative at the beginning of her career as she examined subjects relating to African-American stereotypes with other artists as well as her personal friends including Lyle Ashton Harris and Ellen Gallagher and the natural world. As she stepped foot into more abstract territory during her residency at Marie Walsh Sharpe Art Foundation from 2011 to 2012, her paintings explored nature and the figure in a not-so-literal manner. 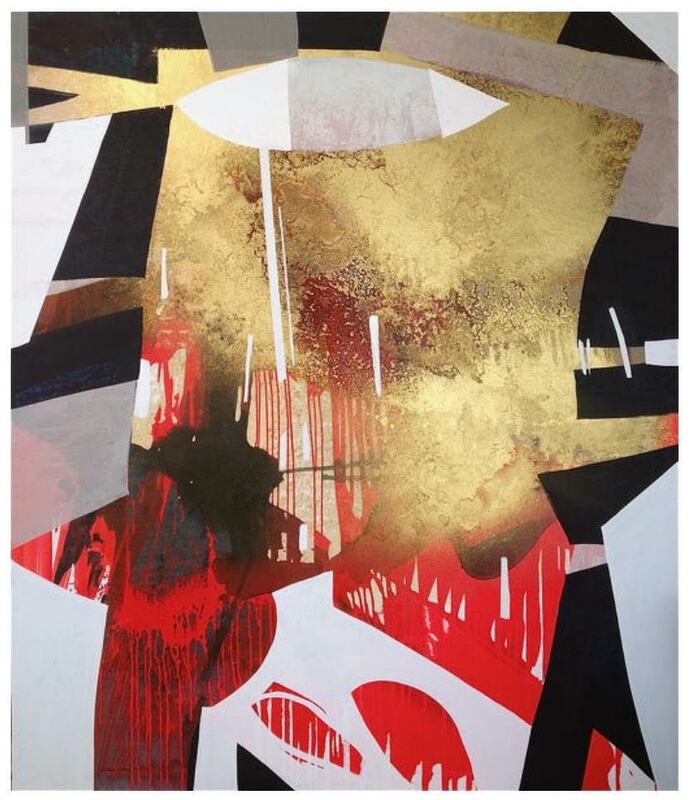 Now in her Bushwick studio, Ranee uses less conventional materials such as spray-paint, tape, gold and shellac as a part of her process as she further explores these subjects. Her mastery of such materials are demonstrated in her painting “For Real” (2015). She has spray-painted what she describes as “her own language,” evocative of ancient hieroglyphics or arabic in metallic silver spray-paint. In addition, not only does her color palette depart from the crimson reds and ultramarine blues oft used in her past paintings, but there is almost no trace of gold or shellac, two previous signatures. Her composition is emptier with more negative space while in the positive space, is a collage of the aforementioned hieroglyphics, layers upon layers of paints marked by various mediums including brushes, drips, along with brightly highlighted spray-painted accents. Despite a less complicated appearance, the new painting that looms at the entrance of her studio is still every bit charged, if not more, as her old works that were more complicated in composition and subject. Upon closer inspection, the white negative space seems to be an additive property, defined by a sheer-white coat of paint, and the only evidence of other layers underneath that has been erased are the textures that show through. This gesture of erasure shown in the painting indicates a restraint that makes Ranee’s recent works a tremendous success. As the negative space is created, an abstract figure appears in the positive space left over. Whether this is conscious or not, it combines two very important aspects of Ranee’s paintings: figures and abstraction. Instead of painting clear, representative figures as present in “Making Rain,” (2010) the figure is presented in some of the abstract works as a result of self-restraint. Ranee applies the same process with the subject of nature. For example, in her more ‘experimental’ paintings, “Heatwaves” (2015) and “Happy Little Clouds,” (2015) it could be said that the titles are indicative of certain temperate qualities of nature that are being portrayed, instead of a literal portrayal shown in her older works such as “Koo Koo Koo, Kaa Kaa Kaa” (2009) or “Succubus,” (2008). The paint is thickly applied in “Heatwaves” as opposed to the light, spray-painted application of a soft green in “Happy Little Clouds”, which reflects how one may feel during these phenomenons. Ranee explains another way she responds to nature in her works, “There are a few leaves here and there, but what I really like is the way the gold cracks as it dries. It reminds me of the cracks of the Earth.” She continues, “I like taking something that is thought of as beautiful, like gold, and giving it a little grit,” pointing to a small portion of her large painting, “Flim Flam,” (2012) where the layer of gold has slightly cracked and spread out, revealing the rich, glossy, burnt umber shellac underneath. As a pigment or tonality, gold is in many of Ranee’s paintings, and she admits that she is trying to lay off, but it is only one of the many materials that she has exploited and manipulated on her canvases. She explains that she needs floor space so that she can pour the paint and maneuver it in different directions (as opposed to vertical drips when a canvas is against the wall), and goes on to point out that she mixes her acrylic paints herself. “I recently tried Golden, but they have a plastic feel, and I like to be in control of the paint.” Instead, Ranee uses Guerra paints, where she has the option to mix her own pigments with different mediums, giving further control. The drips in various directions are visible, as are the movements of the artist during the process of the painting. She describes her paintings as journal entries, each a snapshot of her thoughts, maybe a quote she has in mind, or perhaps something she watched on television earlier that day. She sometimes has a title in mind before she starts the piece, but all that is subject to change. 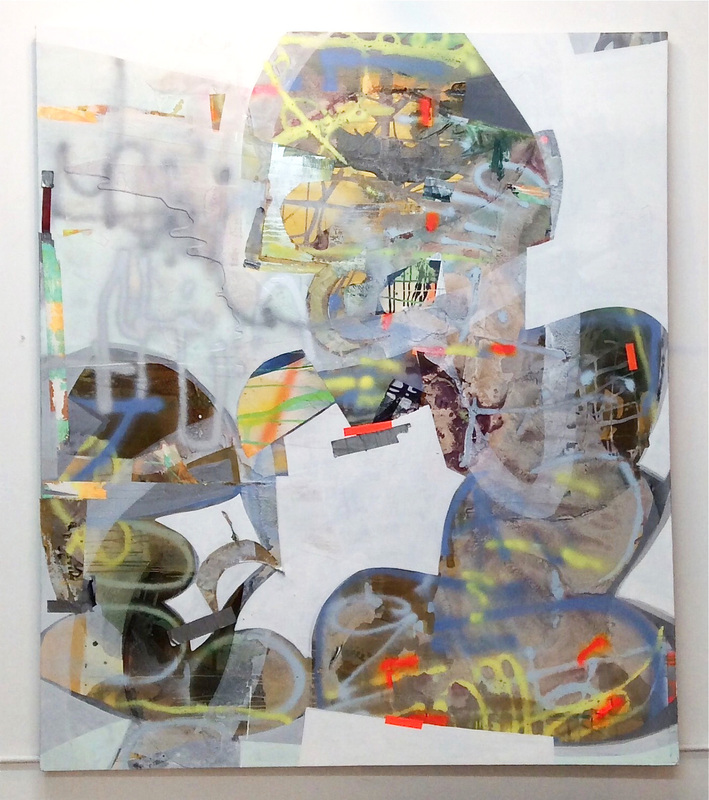 The artist’s struggle is never-ending, Ranee might be “new” to abstract painting, but her exploitation and manipulation of material, constantly shifts new boundaries. She builds walls, then strides forward to break free of them. Erika Ranee is a painter who works with various mixed media and is also an adjunct professor at NYU Steinhardt’s art department. 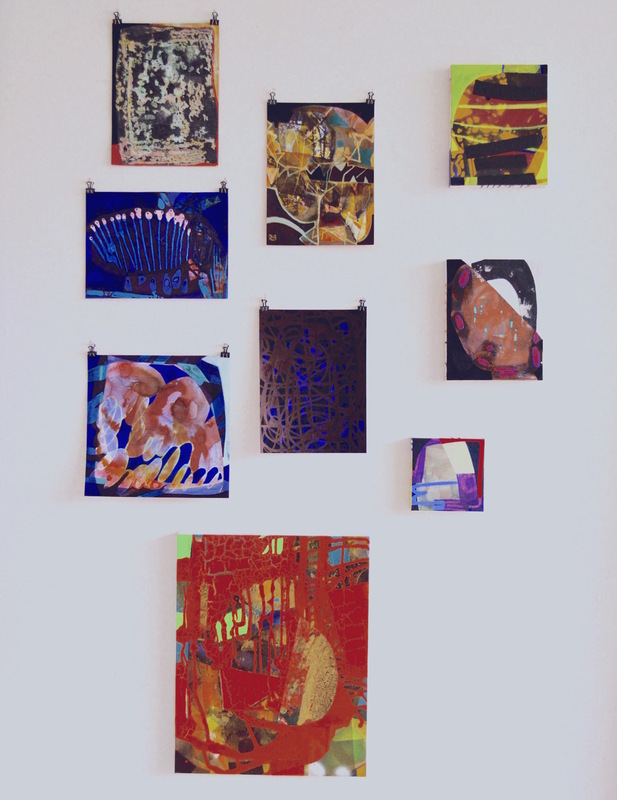 Ranee’s studio is in Bushwick, and she is currently represented by LMAK Projects. She is in a group show titled “The Hand that Creates the I” at The Parlour Bushwick and will be featured in a solo show at LMAK Projects in 2016.